Over 500 people gathered in St. John the Evangelist Church in Nairobi to bid farewell to Cecil McGarry SJ on Saturday, November 28th 2010. The Chapel in Mwangaza Spirituality centre where Cecil worked, lived and died was too small for the numbers expected. The funeral service was moved to the neighboring parish Church. Religious sisters formed the majority of the congregation and over 30 concelebrants participated. Fr. Provincial of Eastern Africa, Fr. Orobator Agbonkhianmeghe presided and Hekima College Choir led the singing. Cecil’s sister Doreen, his nephew Andrew and wife Trish were present and John K. Guney SJ represented the Irish Provincial at the ceremony and gave the homily. Cecil was buried in the Jesuit cemetery in Mwangaza retreat centre where another Irish Jesuit, Fr. Sean O’Connnor is at rest. Cecil got a great send-off, and the crowds present at the Mass and at the burial service were an indication of the impact he made in Eastern Africa over the past 25 years. We come together today to mourn, to thank God and to celebrate the life of a very special man. Cecil McGarry was born in Ireland in 1929. He was a man who loved God, loved the Church and loved the Society of Jesus with all his heart. He was a companion of Jesus for 63 years. He served Christ’s mission in the spirit of the readings we have just heard; he served with all his heart, no half measures and with a passion, perseverance, determination and love that gave outstanding witness to all around him even to those who disagreed with him or opposed him. Words like visionary, courageous, prophetic with a wonderful gift of discernment, wise, manager of change, stubborn and controversial, are descriptions of Cecil by his friends and many others. What were the benchmarks of Cecil’s journey that made him the man he was?. He made a huge impact not only in his Province but also in the universal Society, as Assistant for formation to Fr. General from 1975-84 and in his adopted Province of Eastern Africa. Cecil joined the Society in 1946 in the midlands of Ireland. One year later, he was asked to leave because of ill health. His dream was shattered; the event was a real dark night of the soul. It was to be the first of many major formative experiences of being tested and called to trust always in Divine Providence. After months of treatment for spinal T.B. he re-applied to the Society and was readmitted. His peers recall that right through his formation Cecil was Beadle, that is to say, the leader of the scholastics/students. He was perceived somewhat like the prophet Jeremiah who, as we heard today, was gifted with leadership and an ability to discern and articulate God’s ways with people and events in a courageous manner. In the early 1960s – an era of tremendous change, questioning and upheaval in the world – he was sent to Rome for his postgraduate studies in Theology. The experience of being in Rome during the time of Pope John XX111, Vatican 11, winds of change and renewal blowing through the corridors of the Catholic Church, and the election of the prophetic Pedro Arrupe as General of the Society in 1965, were all crucial formation events for Cecil. These events and persons were to mark Cecil’s life journey and mission for the rest of his days. He returned to Ireland to teach theology and was soon appointed a very young Rector of the Milltown school of Philosophy and Theology. Immediately he began to work on renewing the formation of the theologian student community. He established small communities of scholastics with emphasis on sharing of life, personal responsibility, accountability and the development of internal structures of guidance and religious values, rather than mere conformity to external institutional rules. He moved the Institute from a stand-alone Jesuit institute of studies to become a consortium of religious orders where all religious, including women religious and lay men and women, were allowed to pursue their academic and spiritual formation. He promoted the school of Ecumenics, Peace and Reconciliation, which played a critical role during the growing conflict in Northern Ireland and continues to do so through healing processes for the whole of the island. At the age of 39, he was appointed as Provincial, one of the youngest men ever to hold the role in the Irish Province. Inspired by the spirit of Vatican 11 and of the 31st Jesuit General Congregation, he moved immediately to update the communities and structures of Jesuit life in Ireland, which had developed shades of monasticism and introspection. He encouraged Jesuit life in Ireland to return to the spirit of its Ignatian sources. He explored with others the explicitly defined mission of the Society of Jesus after the 31st General Congregation as the service of faith of which the promotion of justice is an absolute requirement. This twinning of faith and justice was the source of tremendous zeal, energy and controversy in the Province and indeed in the whole Society. He set up commissions to reflect on different sectors of Jesuit works and invited lay partners, who were experts in planning, change and management, to work with Jesuits to bring about renewal through reading the signs of the times in accordance with the founding charism. Each year, Provincial renewal programs brought in men and women like the American Jesuit psychologist, Jim Gill, to help people to talk to one another but above all to give Jesuits skills to listen to one another, grow in self awareness and build unity of minds and hearts. The decisions from this process were many – for example, moving the novitiate from the country to the city, an emphasis on the human and social sciences in studies for scholastics and young priests, the closure of some schools, the immersion of some communities among the poor and a more participative and consultative management style of the Province. He encouraged and facilitated British and Irish Province collaboration and cooperation around formation programs. This was groundbreaking given the historical political and cultural conflicts over the years and the outbreak of violence in Northern Ireland at that time. Cecil believed that in conflict situations the people who must first reach out to join hands across the divide are companions of Jesus. The responses and reactions to Cecil leadership were manifold. 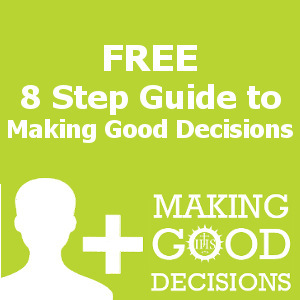 Many of you here today in leadership know that making decisions is not easy but dealing with the reactions can be even more difficult to manage. Some of the reactions were earthshaking and memories (both positive and negative) of his term of office live on in the Irish Province to this very day. The majority, especially, the younger generation, had great appreciation, believing that Cecil enabled the Society of Jesus to enter the 20th.Century and prepare for the 21st. They felt affirmed, trusted and were given responsibility at a young age. Some others were highly critical. Amidst all this Cecil persevered, convinced that renewal according to the spirit of Vatican 11 and to the spirit of Jesuit Congregations was absolutely essential to apostolic efficaciousness of the Company in Ireland. He lived in a real way the beatitude we read today ‘’blessed are those who are persecuted for the sake of righteousness, for theirs is the kingdom of heaven’’. Thank God the Province had a man of courage to live this beatitude, because it is still being blessed by his vision, discernment, planning and courageous decisions. Following his six-year term as Provincial, he was sent to Rome to become Assistant for formation in the universal Society. He worked with the same dynamism, zeal and decisiveness in a diversity of contexts, cultures and even creeds of formation. His goal was always the renewal of the Society according to Vatican.11, the Jesuit congregations and in accordance with the spirit and charism of the founder. The formation of ‘men for others’ was the mantra and the end product was always to have men with an inner freedom ready for apostolic service anywhere in the world. His work as always evoked great support and also controversy. 1. The assassination of the Companions in El Salvador which we commemorated in November on the 20th. anniversary. He had been with that Jesuit community immediately before the killings as a special delegate of Fr. Arrupe and they were deciding whether it was safe to send scholastics for regency to El Salvador. 2. Perhaps his most painful moment was the Papal intervention in the Governance of the Society after Fr. Arrupe suffered a stroke. In the true spirit of St. Ignatius he took this with a gracious obedience and holy silence. Then God beckoned him for service in Africa. I do not dare to say much of this period of his life because each one of you here today has your own homily on Cecil in your heart. I have a number of memories after reuniting with him in Eastern Africa after he and I left Ireland. I remember him on his bicycle as he negotiated the matatus (buses) on Ngong Rd. and I was fearing for his life. I remember him going to the Pallotines in Galapo, Tanzania, to get completely immersed in learning the rich Kiswahili of that country. I remember his excitement about working with Sr.Maura and the Emmanuel Sisters. I remember sharing survival notes with him during his recovery from his brain haemorrhage at Marjorie’s place. But what I can say is this; in Africa Cecil found his real spiritual home. Yes, he was a resource person to Congregations and Bishops Conferences; he was teacher, dean, rector, but above all he wanted to be and was a Pastor- a shepherd of souls. IN Eastern Africa, he lived the quintessence of Ignatian and Celtic Spirituality -he became an ANAM CHARA as we say in Gaelic, a Soul Friend to numerous people and communities. He enabled so many people to discover and follow the will of God and to find peace. The presence of so many women here today is evidence of the way he enabled and empowered women to seek and find God’s will. In finding his real spiritual home in Eastern Africa he wanted to be buried among the people he loved so much. We pay tribute to his family, Doreen, Andrew and Trish, who are with us today to represent all his family, for supporting and loving him in mission and setting him free to serve the God he loved so much and allowing him to be buried in his adopted country and Province. I invite you all to join in the old Irish blessing for those who have passed on before us – “Ar dheis Dé go raibh a hanam dílis” (may Cecil’s faithful soul be at God’s right hand). AMEN.